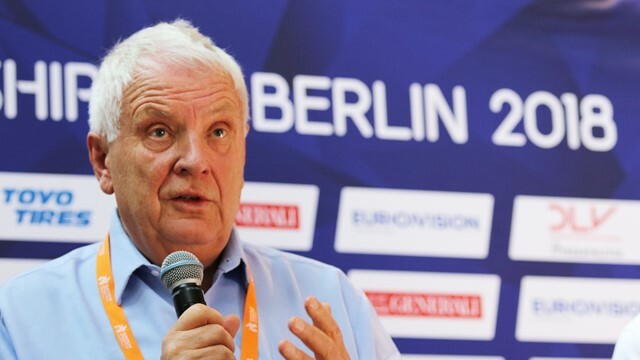 The Berlin 2018 European Athletics Championships due to finish tonight have been the “best ever,” according to European Athletics President Svein Arne Hansen. “Thank you, Berlin. You have delivered the best European Championships ever, that is for sure,” Hansen told a closing press conference at the Olympic Stadium. “I have been to every one since 1970 and maybe people will have another opinion, but we have had an unbelievable atmosphere in the stadium which has been bringing tears to the eyes, not only in my country of Norway, but in many places. Aleksander Dzembritski, Berlin State Secretary for Sport, commented: “We are very, very satisfied with these European Championships. “Wherever I’ve been, whether it was the arena at the Breitscheidplatz, or it was the Olympic stadium, or at the concert that was held on Tuesday, there were fantastic emotions. I think there was no better way of showing our European idea. “There was an emotional goodbye from [retiring German discus thrower] Robert Harting. We learned the word ‘goosebumps.’ And in the Olympic Stadium there were more and more spectators every day, they celebrated and it was a fantastic feeling. Frank Kowalski, CEO Berlin 2018 European Championships, added: “We are expecting about 45,000 spectators tonight. Including qualification day that means we have had a total of 360,000 spectators at the stadium, and the European Mile has drawn around 150,000. Kowalski added that Saturday evening’s athletics, watched by a crowd of 60,500, represented a significant step forward in the presentation of the sport.